Over the past couple of years, there’s thankfully been no deficit of smart, adult-oriented science fiction fare to properly balance out all the middling popcorn schlock that seems to crowd the film industry more and more each year. And don’t get me wrong, easily digestible summer entertainment certainly has its place for sure, but when even Star Trek (a franchise once known for being ahead of its time in regards to social commentary and making heady sci-fi concepts more accessible to regular viewers) is beginning to resemble every other large-scaled blockbuster franchise – though to be fair, Star Trek: Beyond was a very pleasant surprise – something must be afoul in the air. All of this and more is what makes Arrival such a breath of fresh air in the face of so much sameness within modern genre filmmaking. It joins the ranks of Her and Ex Machina in terms of an intelligent, mid-level science fiction outing for a modern audience; a rare smart film that actually puts its money where its mouth is. Considering its central “alien invasion” premise, it in many ways proves to be a more worthwhile successor to Independence Day than the actual Independence Day sequel that was released this year. I mean, I assume so, since I still haven’t seen ID4: Resurgence yet. 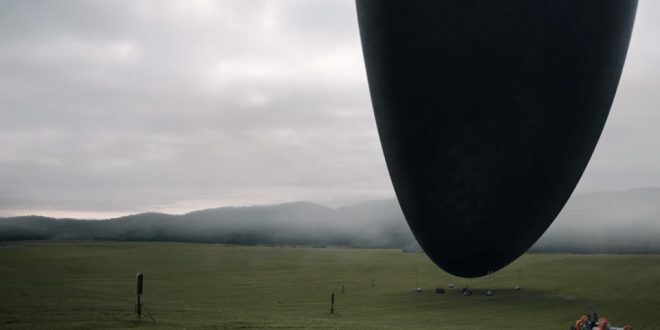 As mentioned earlier, the plot of Arrival concerns alien ships suddenly landing on several spots all over the planet and the subsequent efforts of us trying to make contact with them, though I’d liken the tone of this film closer to the original The Day the Earth Stood Still than Independence Day. But while that might seem like a vague summation of the film’s subject matter, ultimately I feel it necessary just to leave it at that. Because, and I fully acknowledge that this is a cliche before I get to it, this is the sort of film that absolutely benefits from knowing the least amount possible before going into it. Both the surface-level plot mechanics and the emotional core of the film are pretty reliant on leaving the viewer as surprised as possible, though I wouldn’t necessarily say the overall quality or one’e enjoyment of the film is entirely dependent on those factors. It just helps to make the experience as engaging and memorable of one as possible, and if this film is any indication, director Denis Villenueve’s upcoming Blade Runner sequel is in seriously good hands. Do a Shot: every time Amy Adams goes full-Lois Lane. Do another Shot: whenever there’s a flashback of Adams’ daughter. 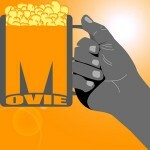 Shotgun a Beer: for Forrest Whitaker’s iffy, ambiguous (Jersey perhaps?) accent.